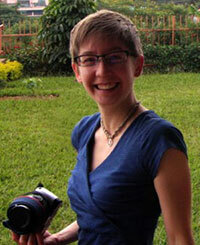 Lisa Looke is a photographer who manages the image library for Wild Seed Project. Lisa has lived and traveled throughout much of the continental U.S., and settled in Maine after graduating from Bates College. Her love of photography was instilled by her grandfather and father, but it wasn’t until she met Heather that Lisa began to photograph plants. 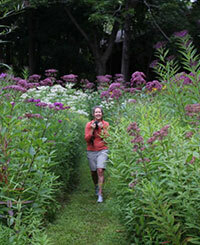 Her exploration and education of the world of native plants has been an unexpected and joyful adventure. 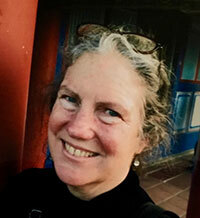 Heather McCargo, MA, Founder and Executive Director, is an educator with 30 years of experience in plant propagation, landscape design, horticulture, and conservation. A former head plant propagator at the New England Wild Flower Society’s Garden in the Woods during the 1990s, Heather has also worked at several landscape architecture/planning firms specializing in ecological design, and has contributed to research projects with USAID, the National Gardening Association, and MOFGA. She has lectured nationally and is widely published in journals and magazines such as Brooklyn Botanical Garden’s “Growing from Seed,” Horticulture, American Nurseryman, Ecological Landscape Alliance, and many others. More locally, Heather designed the master plan for the medicinal gardens at Avena Botanicals in Rockport and was the creator of the Bay School Agricultural Arts program in Blue Hill. 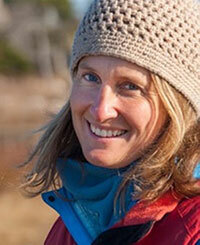 Heather has a BA in plant ecology from Hampshire College and an MA from the Conway School of Landscape Design. 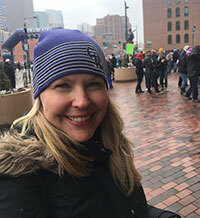 Originally from southern New England, Jen moved to northern New England to attend college at the University of New Hampshire, and has been drawn to the area ever since. A plant-lover and gardener, she is thrilled to work at Wild Seed Project and put her detail-oriented nature to work in developing internal systems and operations. Jen received a BS in Environmental Conservation Studies from UNH and an MS in Environmental Studies from Antioch University New England. She lives in Portland with her husband and goofy dog. 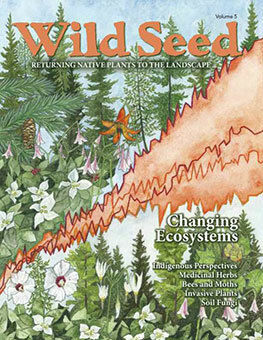 Marina Schauffler, Ph.D., Managing Editor of Wild Seed, is a freelance journalist and editor of naturalchoices.com. 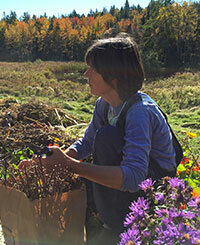 She writes a column on sustainable living, Sea Change, that is distributed to papers around Maine, and serves as a volunteer Master Gardener. Tracy Weber, Patagonia Seed Fellow, joined Wild Seed Project in November 2018 as our first Seed Fellow, a year-long internship focused on increasing native plant knowledge – from identification and cultural requirements to seed collecting, storing, and propagating. Tracy has an undergraduate degree in Horticulture & Agronomy and ran a small garden maintenance business for 20 years. She is eager to return to the plants of her childhood, her first teachers in the natural world. Stina Kayser, J.D., President, develops, operates, and advises economically profitable and environmentally sustainable businesses. She currently serves as general counsel and principal with Urban Villages, Inc. and Bio-Logical Capital, LLC. Stina earned a J.D. from the University of Wisconsin – Madison Law School and a B.A. from Marquette University. 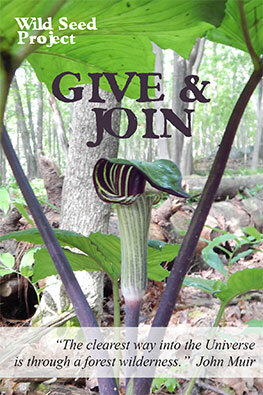 Stina is passionate about the role native plants play in our ecosystem, and is particularly excited about how Wild Seed Project helps individuals take action in their own landscapes to support native plants. She lives in Denver, Colorado, where she and her husband are active gardeners. Kass Hogan, Ph.D., Vice President, worked at the Institute of Ecosystem Studies for 16 years where as a member of the scientific staff, her academic research, publications, and nationwide presentations focused on how young people learn about complex ecosystem dynamics. She earned a PhD in cognitive psychology at SUNY Albany, an MS in Environmental Studies from Antioch University New England, and studied biology as an undergraduate at Bowdoin College and College of the Atlantic, where she received a BA in Human Ecology. Kass grew up in northern Maine and now lives in the Midcoast region of the state. 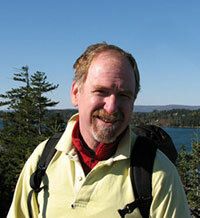 Greg Field, Ph.D., Treasurer, is currently the Director of Finance and Operations at the Maine Island Trail Association. In previous positions, Greg has served in Finance and Operations for other small Maine non-profits. He has served on numerous boards, most recently as Board Treasurer, then Board President at Maine Initiatives. 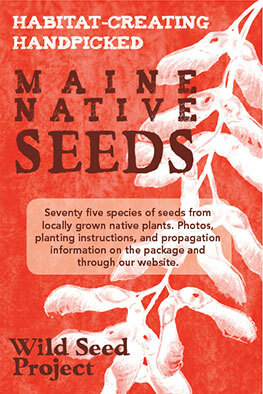 Through his work at MITA he has learned firsthand about the spread of invasive species along Maine’s coast. Greg is an avid vegetable gardener and with guidance from his wife Ginny, he is discovering ways in which to restore native plants and habitat at their home in Yarmouth. 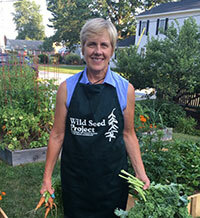 Ginger Laurits, PT, DPT, started as a Wild Seed Project volunteer and joined the board upon retirement from a 44-year-long career as a physical therapist. She received her undergraduate degree in biology from Simmons College and clinical doctorate in physical therapy from Utica College. Ginger has volunteered as a docent for Mass Audubon at the Ipswich River Wildlife Sanctuary, which included maintaining the nature garden, and is currently a Master Gardener volunteer at the Wells Reserve at Laudholm, coordinating and maintaining the native plant garden with other volunteers. She has been an avid gardener for most of her adult life, and has been enjoying growing her own native plants from seed for her home garden and the Wells Reserve. Peter Milliken participated as a founder of a local non-profit organization and has served on a number of local boards, including that of Wild Seed Project. He appreciates all things associated with the arts, healthy soil, and abundant curiosity. Peter has lived in North Yarmouth for several decades, and has appreciated all things Maine for another several decades. 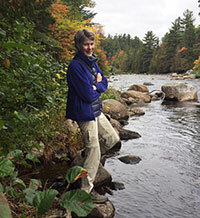 Suzanne Morse, Ph.D., is the Newlin Chair of Botany at College of the Atlantic in Bar Harbor, and a visiting professor in life sciences at Norwegian University. She earned her doctorate at the University of California, Berkeley, and was a post-doctoral researcher focusing on global climate change at Harvard University.